Slader Contributor Guide Slader Content Contributor Guide June 2018 Update 1.2 Dear Slader User, As many of you have noticed, a lot of major changes have taken place at Slader within the past month. 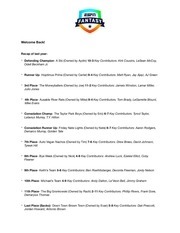 A high reputation score recognizes a contributor’s expertise and earns the contributor added privileges, and affords the contributor more trust from other community members. 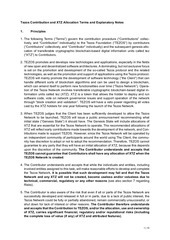 The following Terms (“Terms”) govern the contribution procedure (“Contributions” collectively, and “Contribution” individually) to the Tezos Foundation (“TEZOS”) by contributors (“Contributors” collectively, and “Contributor” individually) and the subsequent genesis allocation of transferable cryptographic blockchain-based digital information units called tez (“XTZ”) to Contributors. 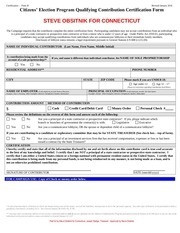 Steve Obsitnik for Connecticut Donation Form Certification - Form B Revised January 2016 Citizens’ Election Program Qualifying Contribution Certification Form STEVE OBSITNIK FOR CONNECTICUT The Campaign requests that the contributor complete the entire certification form. 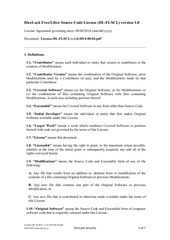 “Contributor” means each individual or entity that creates or contributes to the creation of Modifications. 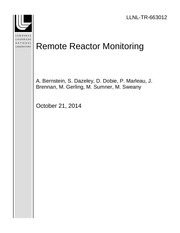 Remote Reactor Monitoring 784480 LLNL-TR-663012 Remote Reactor Monitoring A.